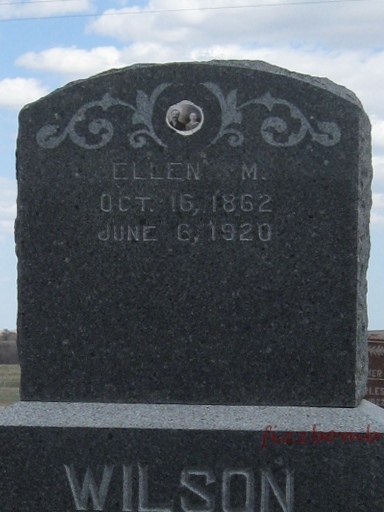 Teel	 Elena R.	 1/28/1887	 10/10/1951	 Same stone as Hugh C Teel. Eastern Star emblem. Maiden name was Kline. Teel	 Enoch F.	 5/8/1860	 12/8/1941	 At Rest	 Same stone as Sadie J. Teel. Masonic emblem. 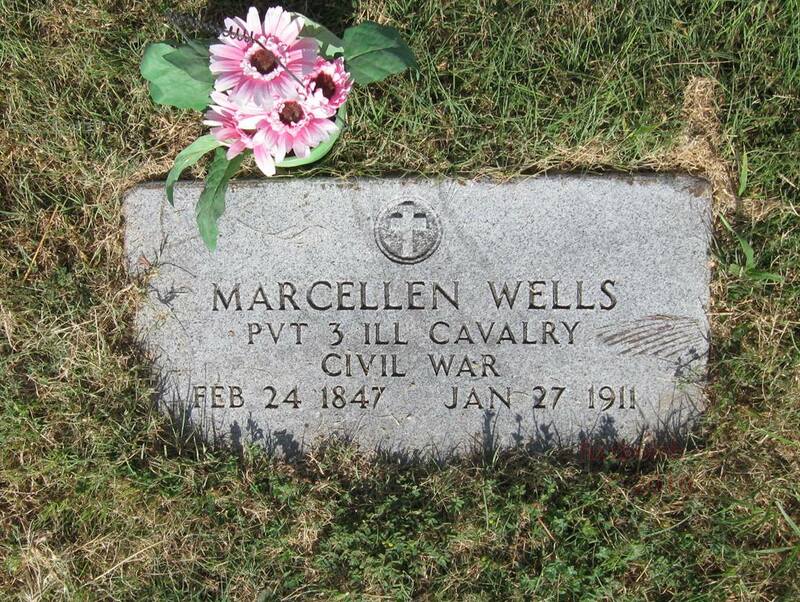 Teel	 Hugh C.	 8/14/1885	 2/16/1959	 Same stone as Elena R Teel. Teel	 Hugh Edward	 7/6/1877	 2/2/1945	 Father	 Same stone as Sarah Elizabeth Teel. 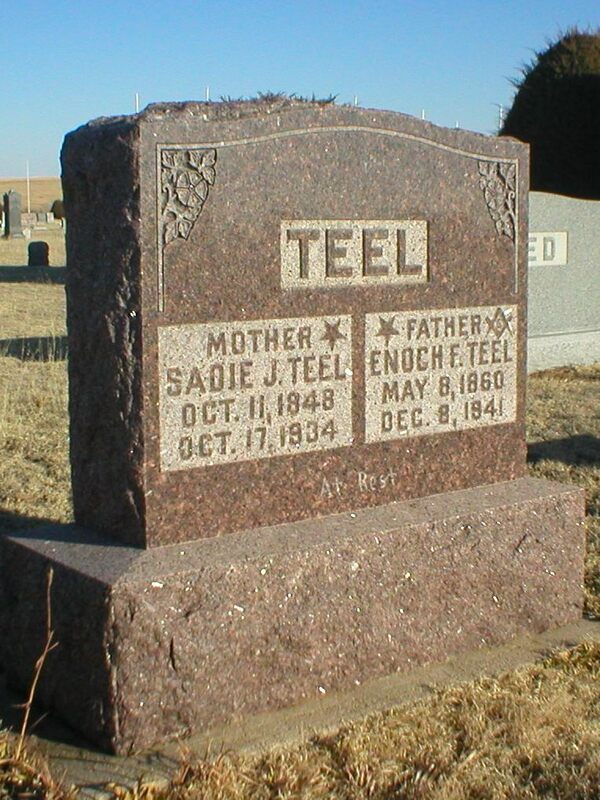 Teel	 Sarah Jane "Sadie"	 10/11/1848	 10/17/1934	 At Rest	 Same stone as Enoch Teel. Eastern Star emblem. 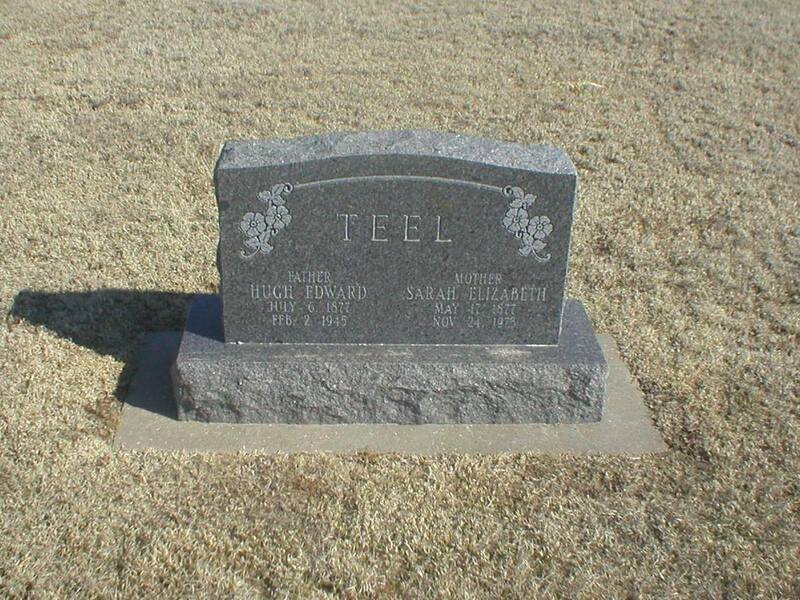 Teel	 Sarah Elizabeth	 5/17/1877	 11/24/1973	 Mother	 Same stone as Hugh Edward Teel. Maiden name was Ryan. 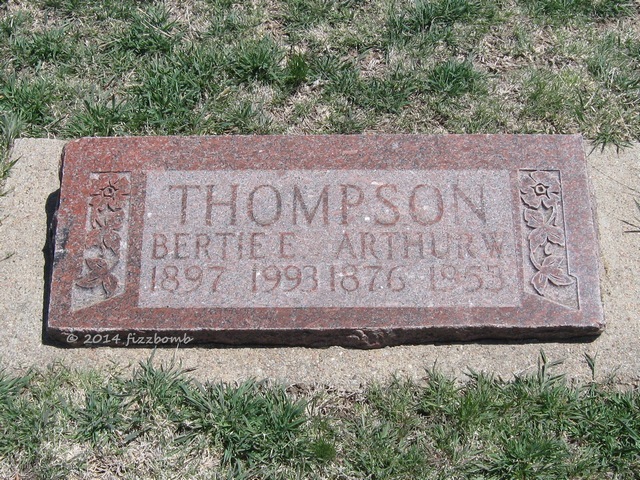 Thompson	 Arthur W.	 1876	 1953	 Same stone as Bertie E. Thompson. Thompson	 Elizabeth Miranda T.	 12/17/1877	 7/21/1937	 Rebecca emblem. Thompson	 Hannah	 3/16/1913	 This grave is unmarked. Aged 98 years, 7 months. Funeral record on file at city office. Frank Thompson paid for the funeral. Thompson	 Susanna E. (Goldsberry)	 1874	 1945	 Daughter of Milton Samuel and Rachel Jane (Wells) Goldsberry; wife of Franklin William Thompson. 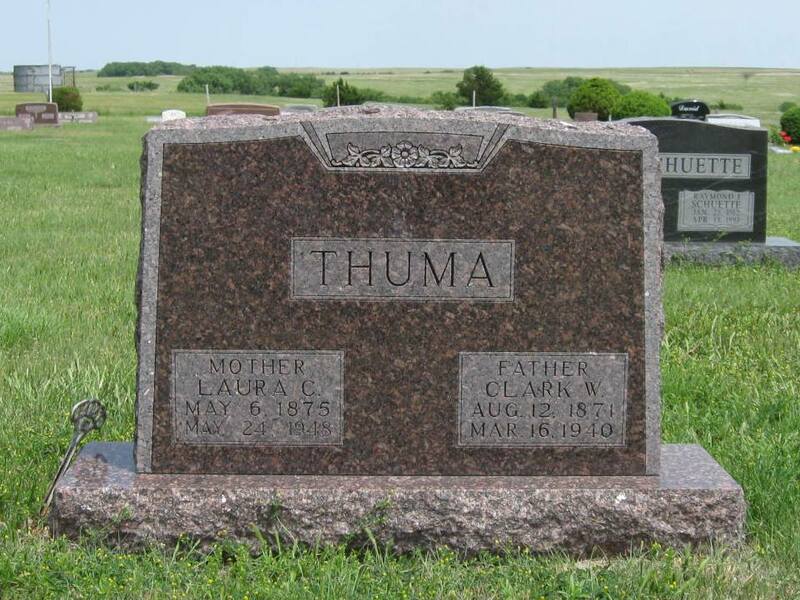 Thuma	 Clark W.	 8/12/1871	 3/16/1940	 Father	 Same stone as Laura C. Thuma. Oddfellow emblem. Daughters Gladys Caughey and Erma Kerfoot. Tillotson	 Hubert R.	 1871	 1937	 Same stone as Maude O Tillotson. Tillotson	 Maude O. 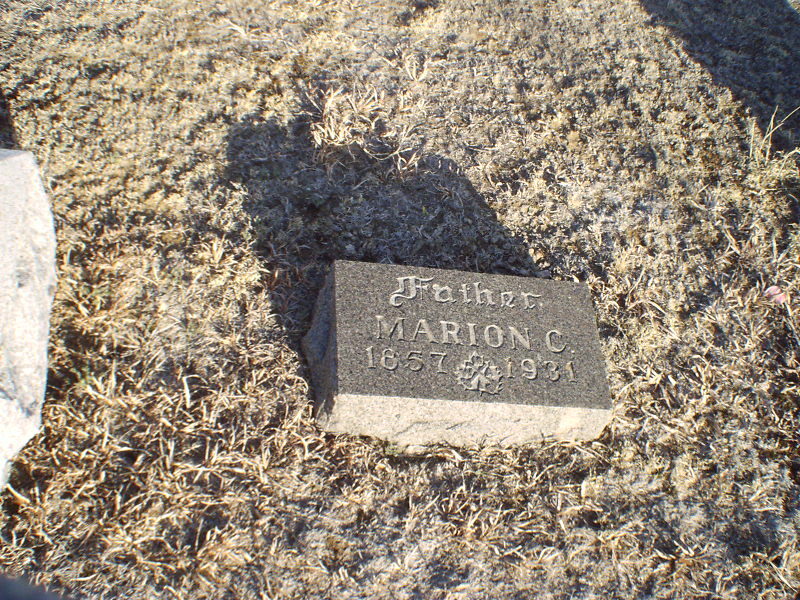 1873	 1951	 Same stone as Hubert R Tillotson. Troutner	 Elmer L.	 1889	 1976	 Same stone as Mabel E. Troutner. Troutner	 Mabel E.	 1893	 1929	 Same stone as Elmer Troutner. 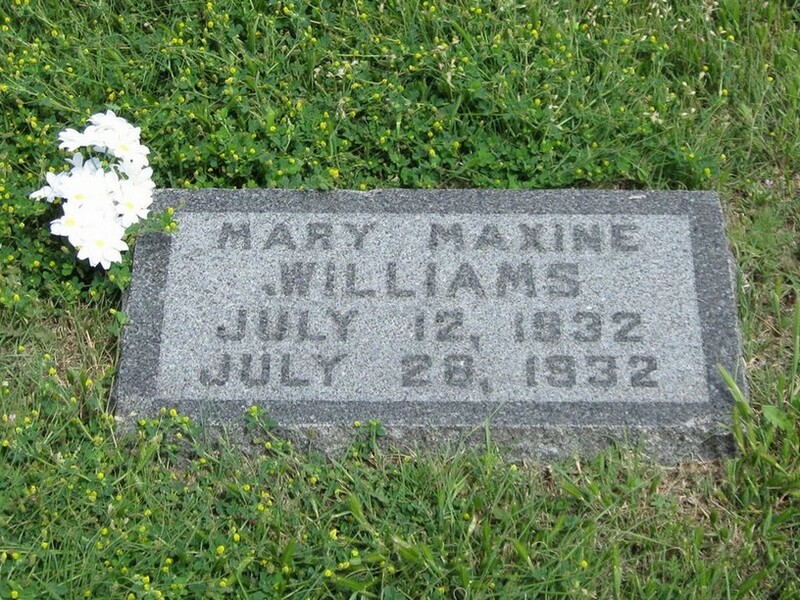 Daughter of Joseph & Anna Pharaba (Menefee) Williams. 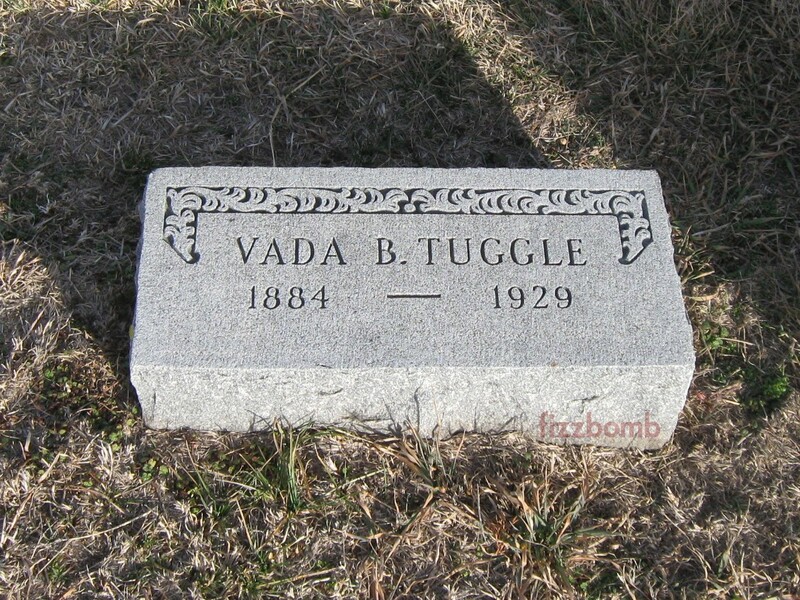 Tuggle	 Vada B. 1884	 1929	 Small stone between two large Johnston stones. Turner	 Elkana Ralph "Kanie R."	 8/28/1907	 10/6/1998	 Same stone as Ruby E. Turner. Son of Neville I "Neve" and Anna (Edgington) Turner. 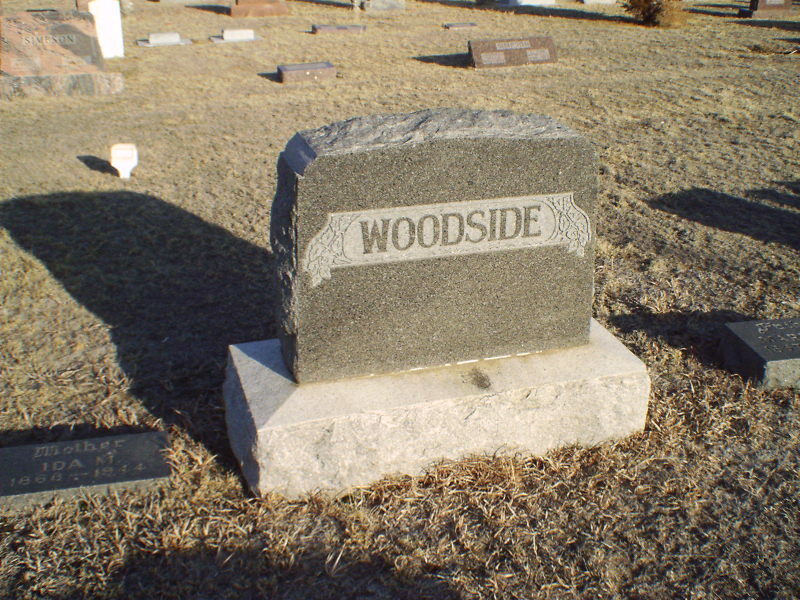 Second wife was A. Lois (Jones) Woodside who is buried elsewhere in this cemeterywith her first husband, Chester "Chet" Woodside. 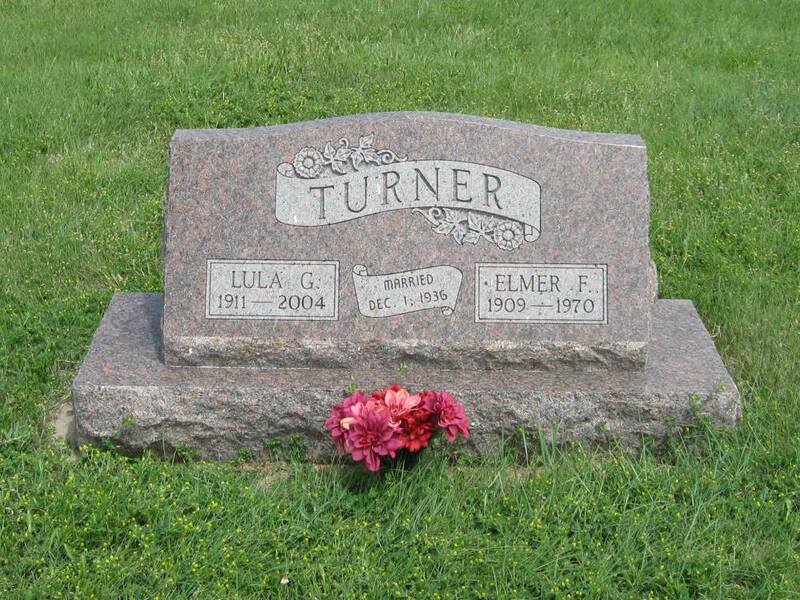 Turner	 Lulu	 1911	 2004	 Married Dec. 1, 1936	 Same stone as Elmer Turner. Daughter is Verla Kay Turner. Turner	 Rosa	 6/23/1863	 1/8/1924	 Same stone as W. D. Turner. Tyrell	 Budd E.	 10/24/1908	 1/23/1987	 Same stone as Verla L. Tyrell. Unknown	 Brass plate lost from marker, no records of name. Unknown	 Small homemade marker, brass plate missing. Unknown	 Two home made concrete stones; brass name plates have fallen out. Unknown	 Two homemade concrete stones; brass name plates have fallen out. Unknown	 Small homemade stone; no data. Unknown	 No stones; slab of concrete. Unknown	 Small marker; no name. Urbancic	 Martha A. 9/25/1910	 11/3/1987	 Inscribed underneath: George & Richard Hockman	 Small stone on the Hockman lot.� The daughter of George W. & Jennie (Voss) Boys of Densmore.� Her first husband was Ora Hockman. Van Diest	 Helen Bennett	 1904	 1990	 Same stone as Teunis VanDiest. Obverse side engraved with Ruth Bennett Barbo and Ross Barbo. 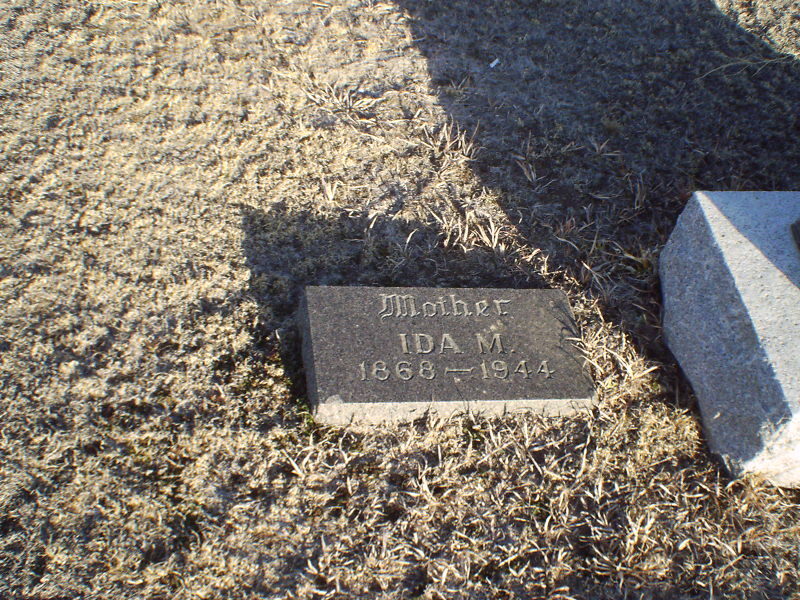 Vandermint	 Eliza P.	 2/13/1872	 6/20/1954	 His wife; Asleep in Jesus where none wake to weep	 Portrait of couple on stone. 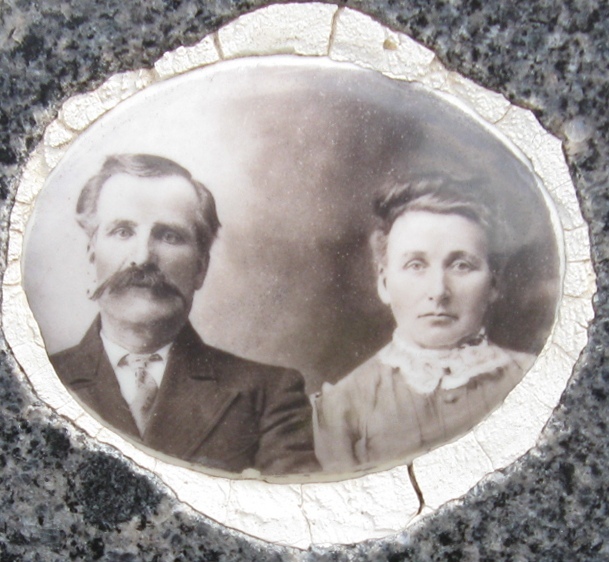 Vandermint	 George W.	 9/15/1848	 3/28/1920	 Asleep in Jesus where none wake to weep	 Portrait of couple on stone. Volkel	 George	 1898	 1980	 Father	 Same stone as Ruby Volkel. Volkel	 Nora Lena	 1902	 1984	 Same stone as Charles Emory Volkel. Eastern Star emblem. 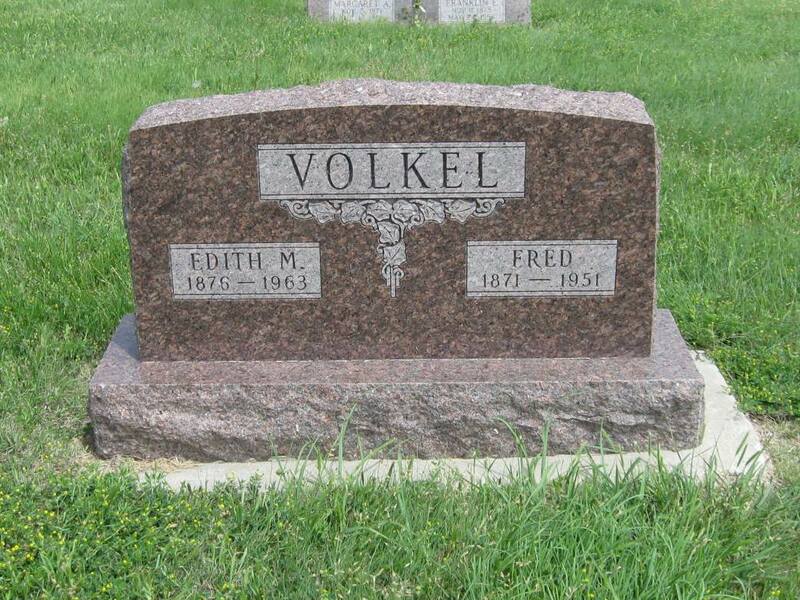 Volkel	 Ruby	 1903	 1993	 Mother	 Same stone as George D. Volkel. Von Forell	 Maudie M.	 1886	 1969	 Same stone as August G Von Forell. 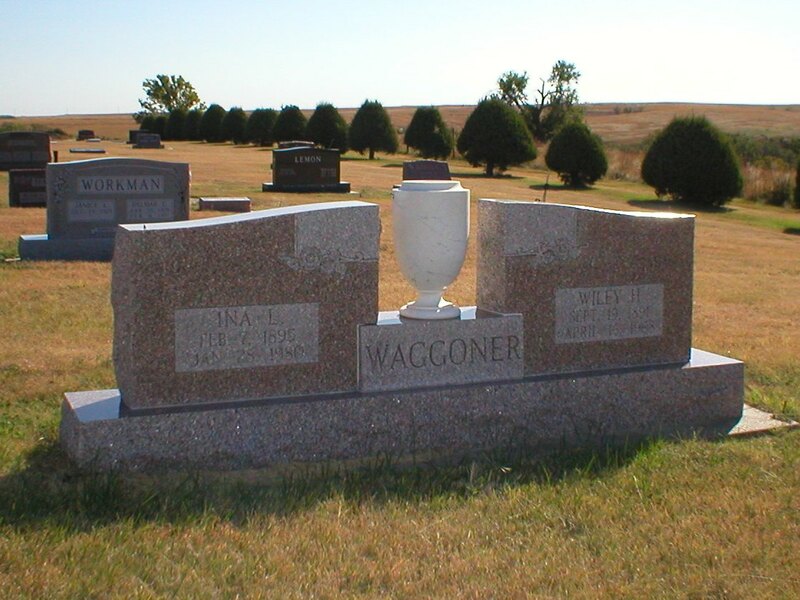 Waggoner	 Ina L.	 2/7/1895	 1/28/1980	 Same stone as Wiley H. Waggoner. Wagoner	 Mary	 9/19/1889	 Wife of D. Wagoner; Aged 51y 4m 12ds; The memory of the just is blessed	 Rebekah emblem FTL. 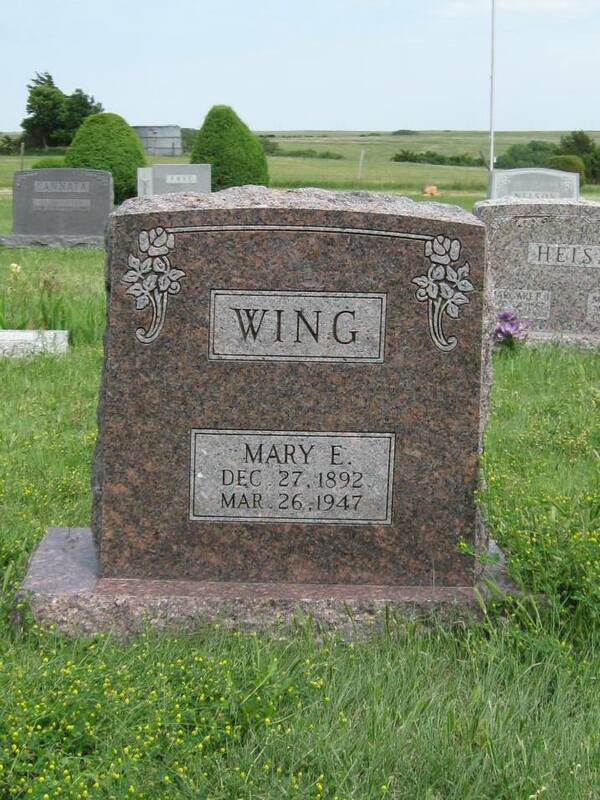 Her obituary includes "interred in the Pleasant Hill cemetery", the original name of Lenora South Cemetery. 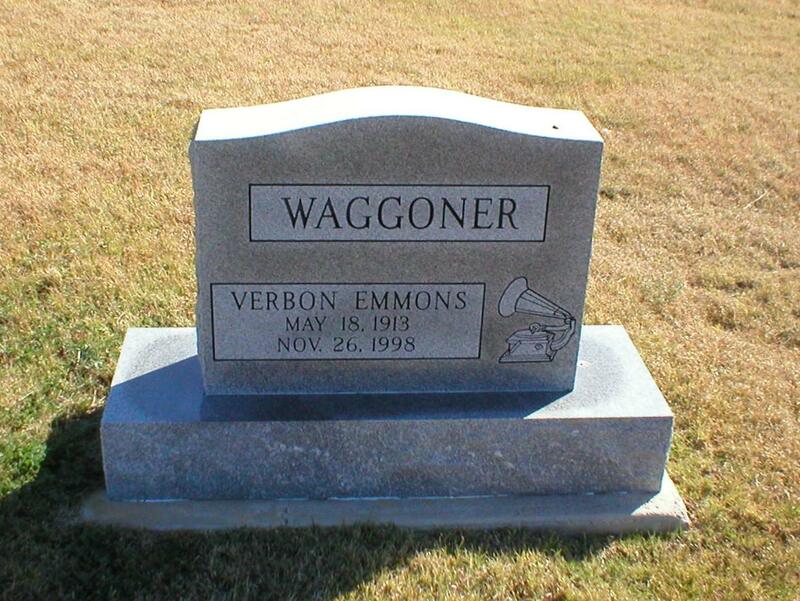 Wagoner	 Valaria H.	 4/7/1877	 6/26/1956	 AT REST	 Same stone as Walter Wagoner. Daughter of Joseph & Mary Margaret (Tussing) Edwards of Graham County. 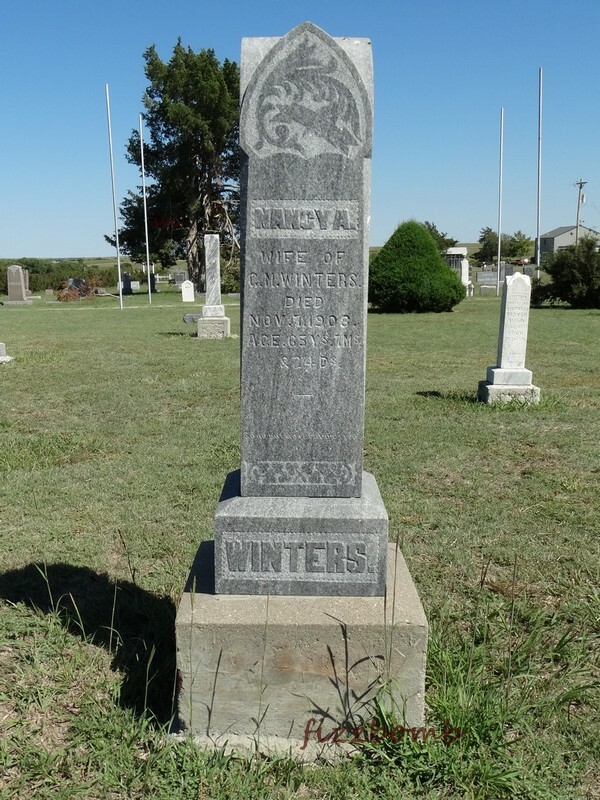 Wagoner	 Walter David	 8/15/1870	 3/11/1933	 AT REST Father footstone. Same stone as Valaria H Wagoner. 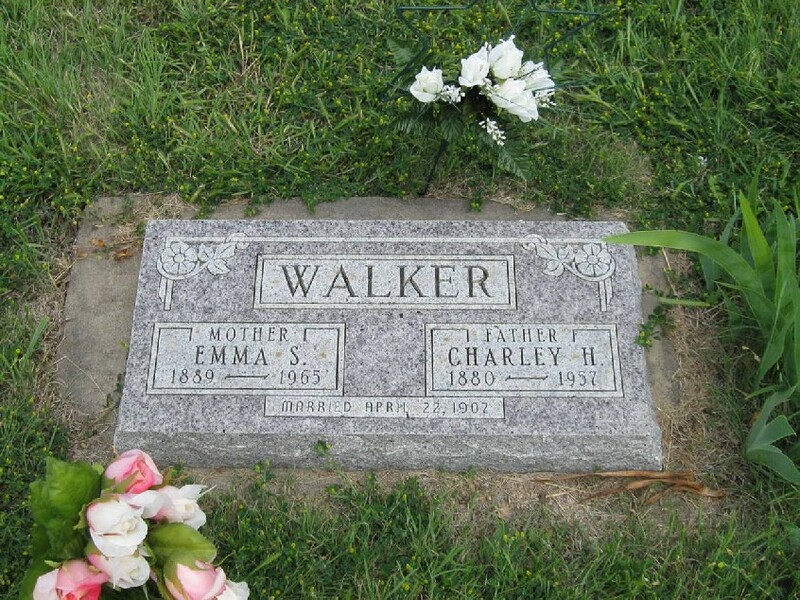 Walker	 Della E.	 10/15/1924	 9/23/1996	 Same stone as Lawrence E. Walker. 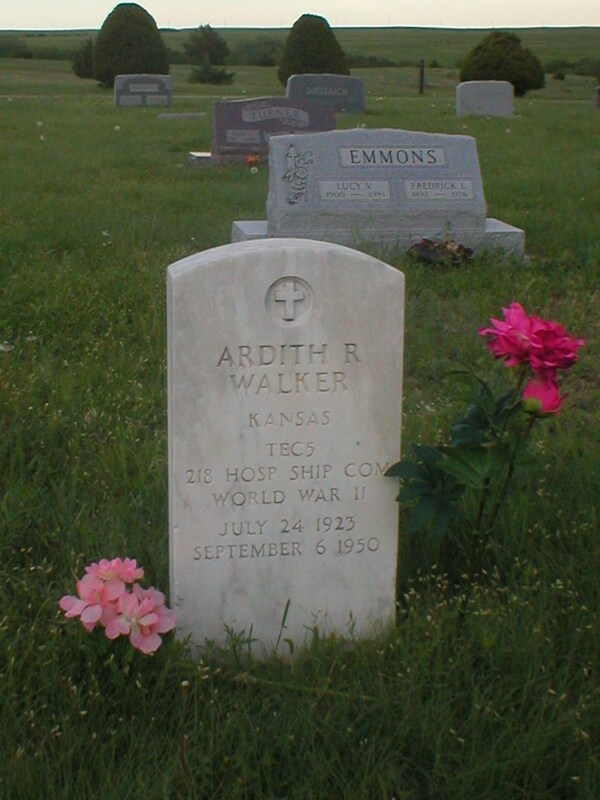 Walker	 Vance Dwight	 11/15/1917	 3/16/1999	 S I U.S. NAVY World War II	 Originally buried in Block 5 Lot 27; moved to block 8 lot 24 after Esther died. Weaver	 Mable	 10/1/1887	 10/10/1887	 Daughter of W. J. and D Weaver; He gives and when He takes away; He takes but what He gives. Wharton	 Mildred O. 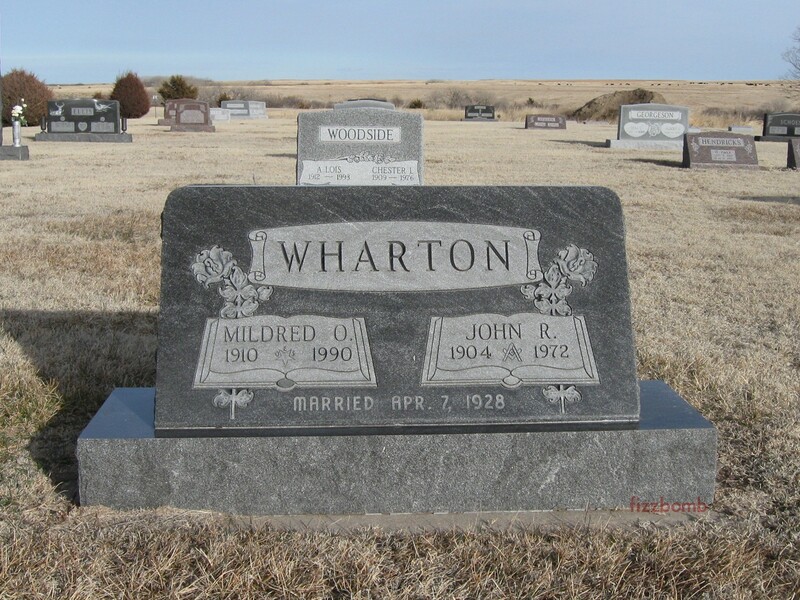 1910	 1990	 Married April 7, 1928	 Same stone as John R. Wharton. Eastern Star emblem. White	 Lila Mary	 1943	 Unmarked. Burial permit on file at Lenora city office; interred 3/2/1943. Age at death was 45 year, 8 months and 9 days. Wilcox	 E. Marie Sheets	 1/27/1903	 6/22/1985	 Mother; On back:; Mother of Esther, Claude Jr., Lawrence, Georgia, Betty, Leonard, Claudia, Loyal, Earl, Roger, Allen	 There are two markers for Marie; one by herself showing the surname of "Sheets/Wilcox" and one shared with Jesse and Madge Wilcox on which the death date is not inscribed. 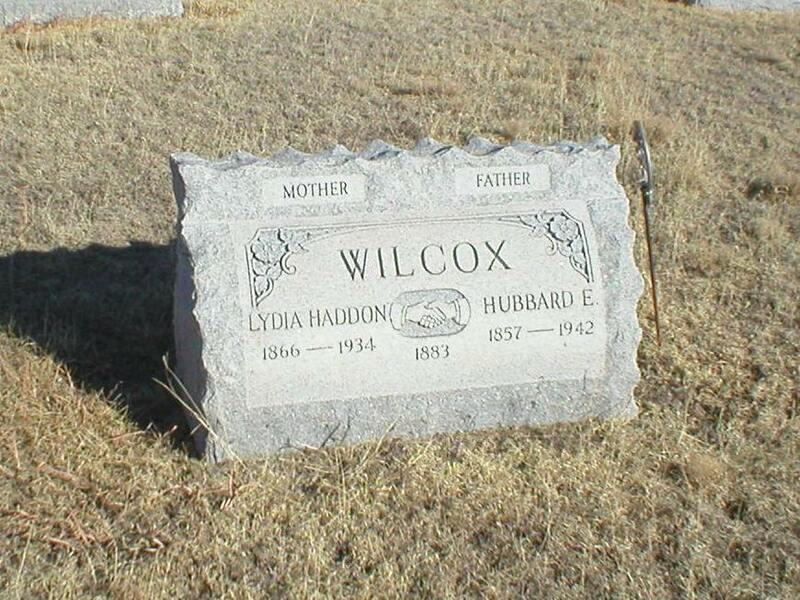 Wilcox	 Hubbard E.	 1857	 1942	 Engraven handshake 1883 (presume marriage)	 Same stone as Lydia Haddon Wilcox. Wilcox	 Madge S.	 7/29/1898	 12/18/1963	 Same stone as Marie E. Wilcox and Jesse F. Wilcox. American Leigon Marker and Veterans Auxillary marker. Wilcox	 Marie E.	 1/27/1903	 Same stone as Madge S. Wilcox and Jesse F. Wilcox. FLT Rebekah marker. Wilcox	 Wm. 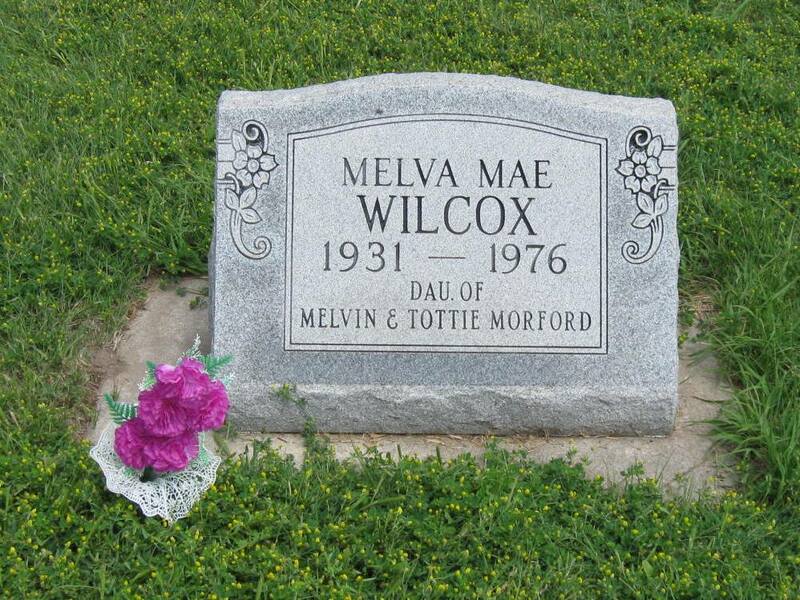 Sherman	 10/1/1873	 12/29/1950	 Death is only a shadow across the path to heaven	 Same stone as Leora A (Peugh) Wilcox. 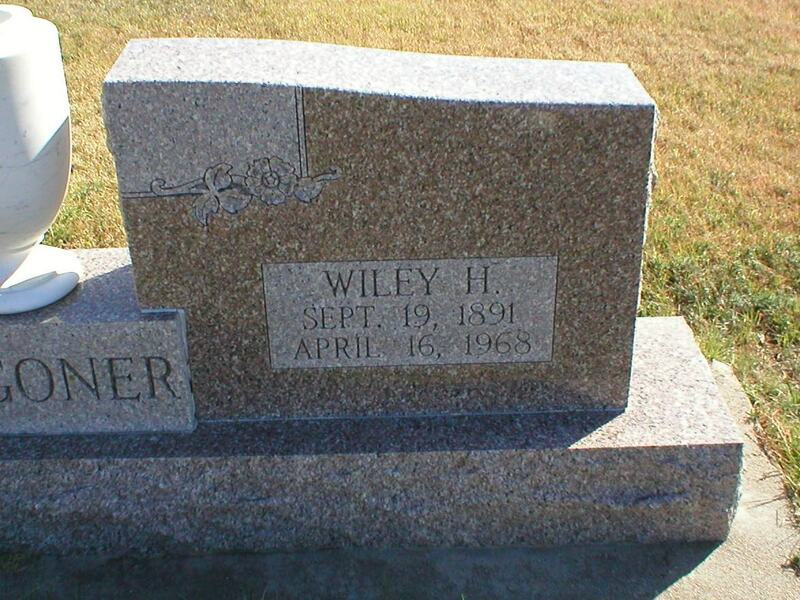 Williams	 Arlene L.	 7/3/1925	 5/31/2000	 Same stone as Arthur Wells. Other husbands: Cleo Shepard and Sam Williams. 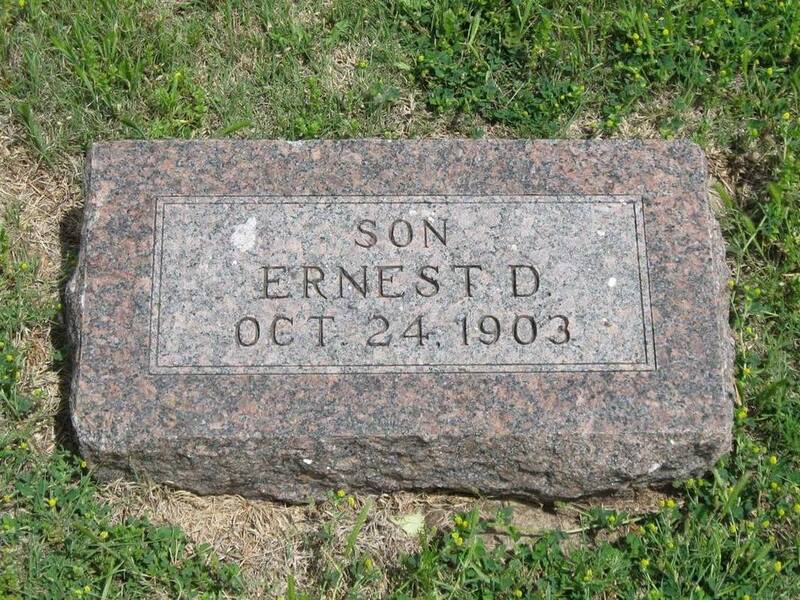 Daughter of Harold & Erma (Thuma) Kerfoot. 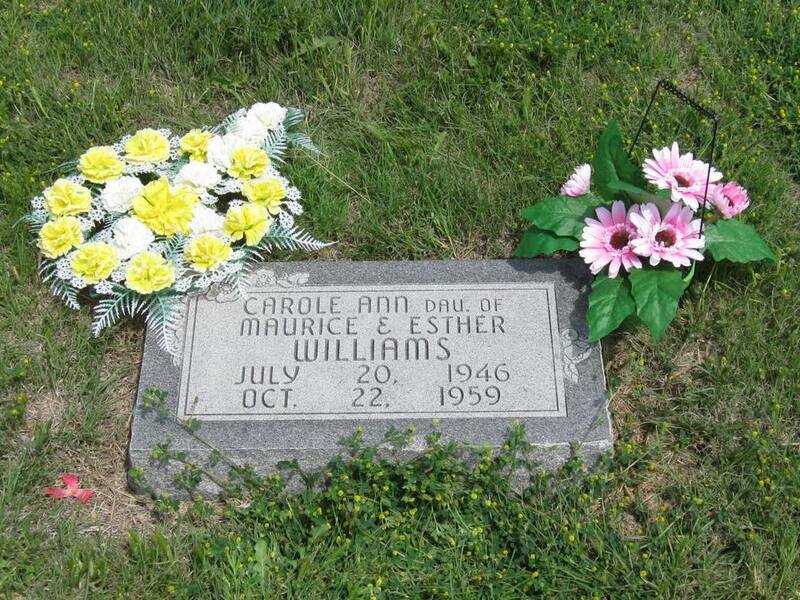 Williams	 Claudine	 9/4/1919	 4/4/1986	 Maiden name was Eaton. 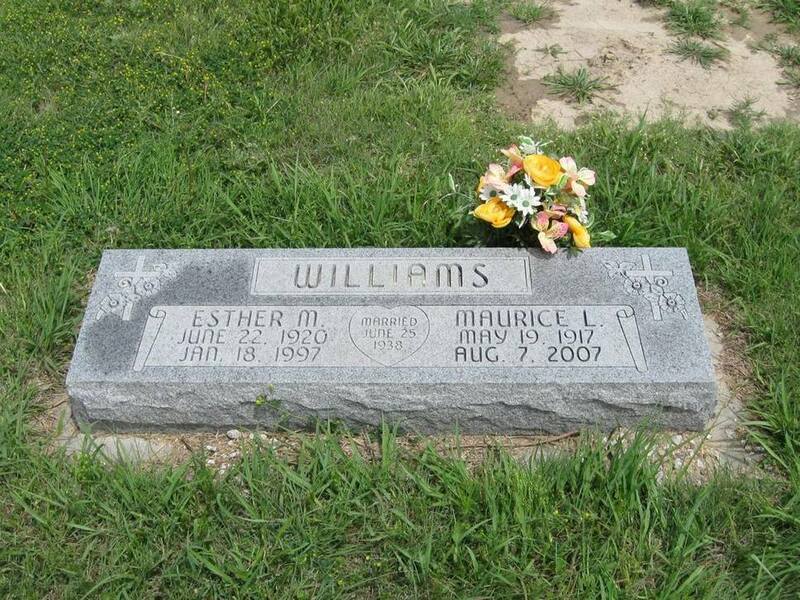 Williams	 Esther M	 6/22/1920	 1/18/1997	 Married June 6, 1938	 Same stone as Maurice Williams. Daughter of Ben & Nettie (Godwin) Scott. 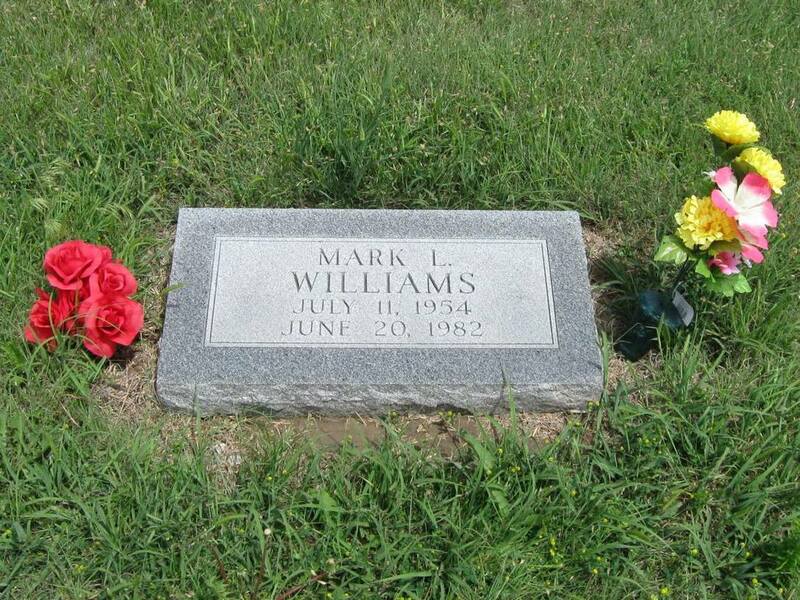 Williams	 Jack	 8/14/1906	 4/29/1991	 Same stone as Lucile Williams. 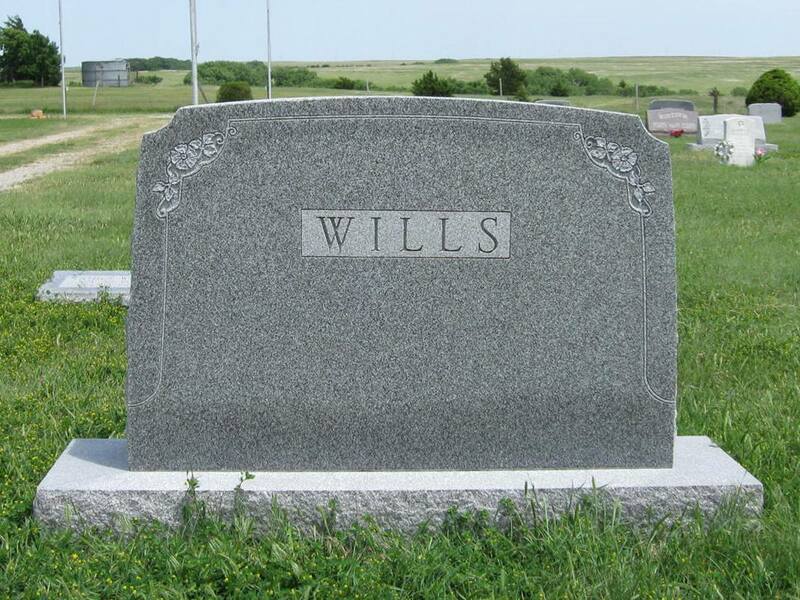 Williams	 James Evans	 4/21/1923	 10/31/1998	 PFC U.S. ARMY World War II	 American Legion Emblem. 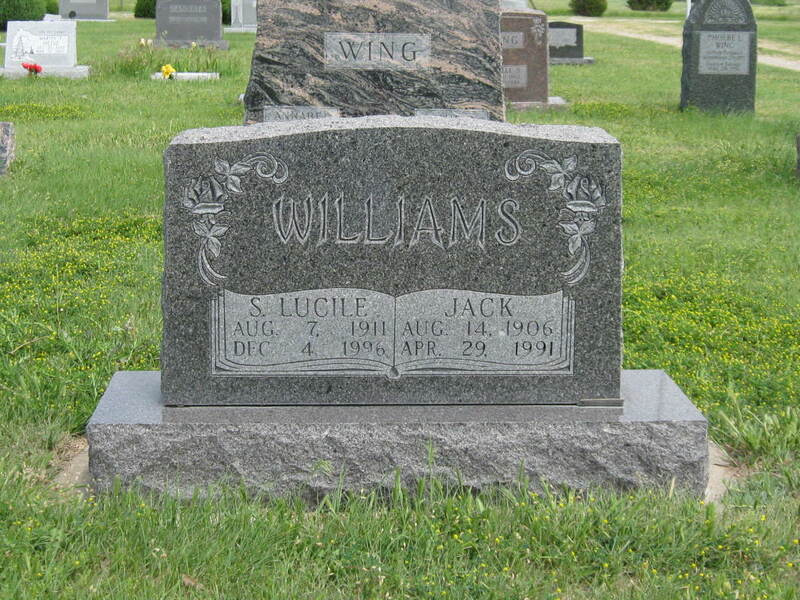 Williams	 S. Lucile	 8/7/1911	 12/4/1996	 Same stone as Jack Williams. 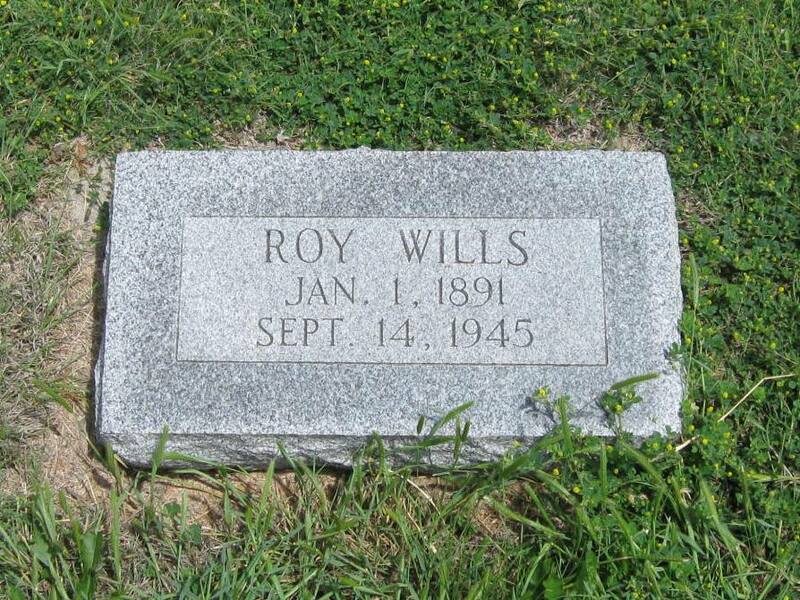 Wills	 Esther	 11/30/1894	 4/26/1982	 Same stone as Roy Wills; individual footstones. Wills	 Roy	 1/1/1891	 9/14/1945	 Same stone as Esther Wills; individual footstones. 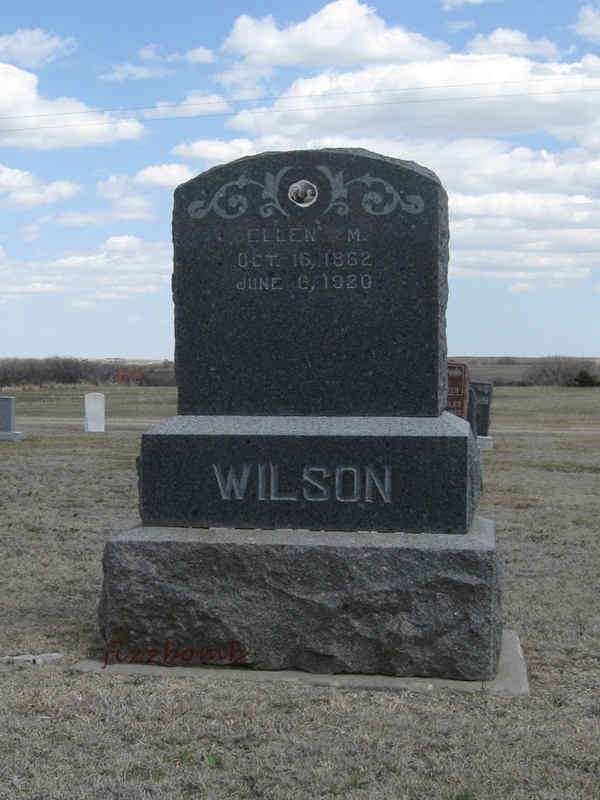 Wilson	 Ellen M.	 10/16/1862	 6/6/1920	 Marker contains ceramic portrait of a couple. Wilson	 Emma D.	 1875	 1888	 Large WILSON stone with 6 names inscribed. 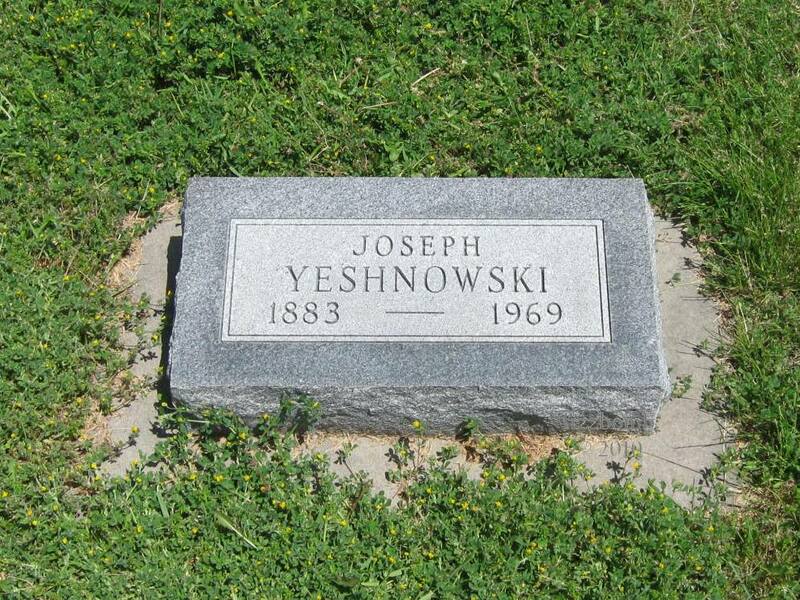 Inscribed death year is incorrect, per the obit. Wilson	 Emma J. 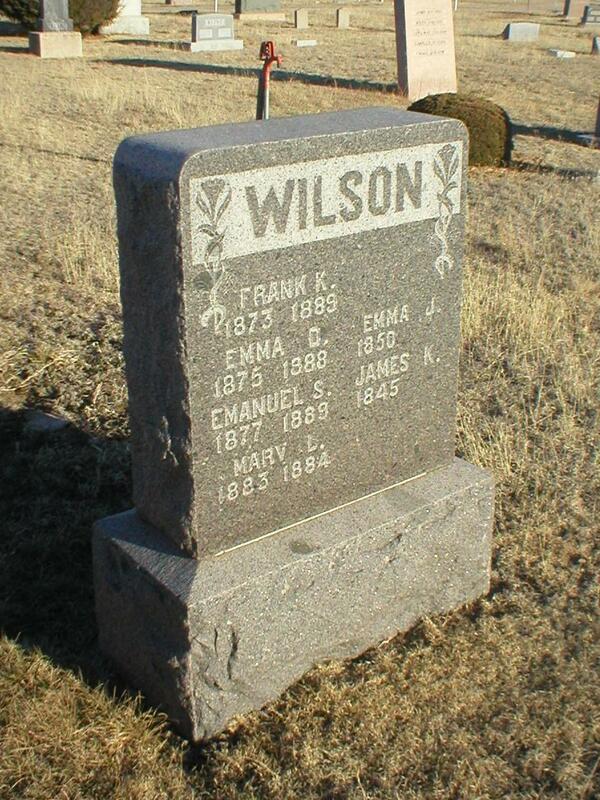 1850	 no date	 Large WILSON stone with 6 names inscribed. Wilson	 Francis	 1864	 1957	 Same stone as Guy Wilson. FTL emblem. 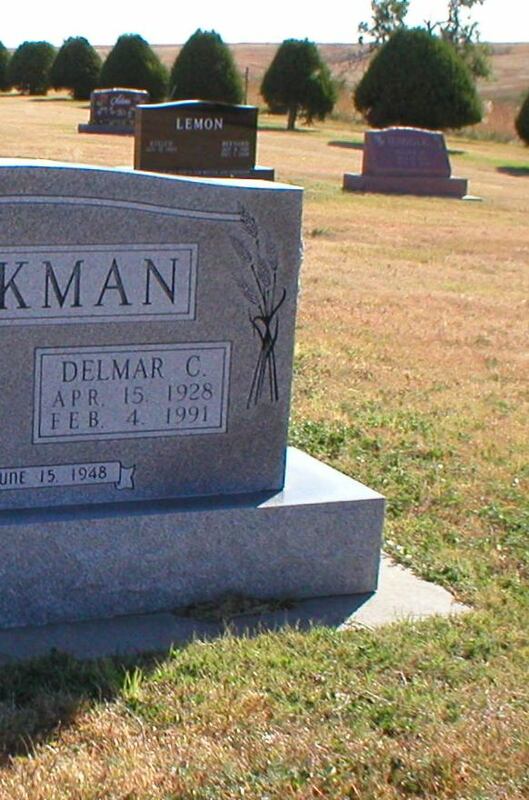 Maiden name was Berryman. Wilson	 Frank K.	 1873	 1889	 Large WILSON stone with 6 names inscribed. Wilson	 Infant 1	 10/6/1924	 10/7/1924	 Child of Sam and Florence (Arnold) Wilson. Funeral record on file at city office. Brass plaque lost from stone. Wilson	 Infant 2	 9/30/1925	 Child of Sam and Florence (Arnold) Wilson. Funeral record on file at city office. Brass plaque lost from stone. Wilson	 James K.	 1845	 no date	 Large WILSON stone with 6 names inscribed. 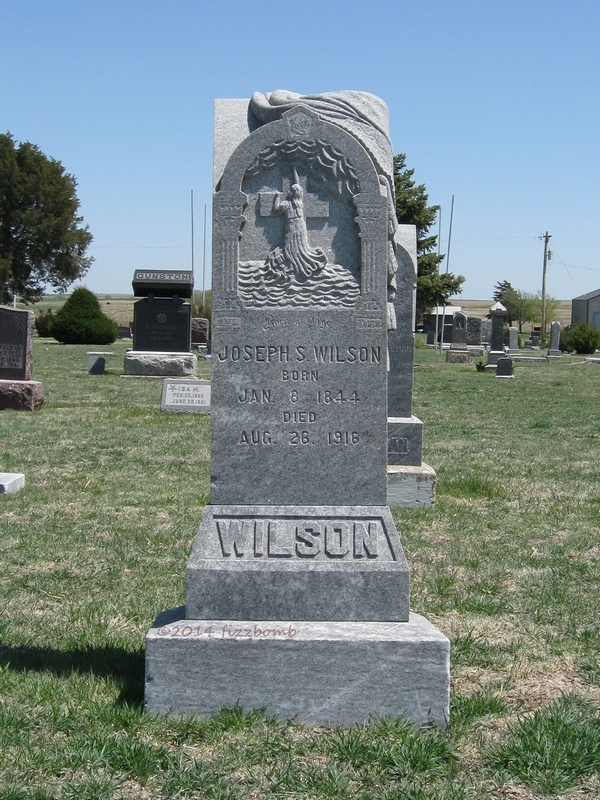 Wilson	 Joseph S	 1/8/1844	 8/26/1916	 Elaborate tall stone with carved draping and bias relief carving of storm tossed girl clinging to a cross. 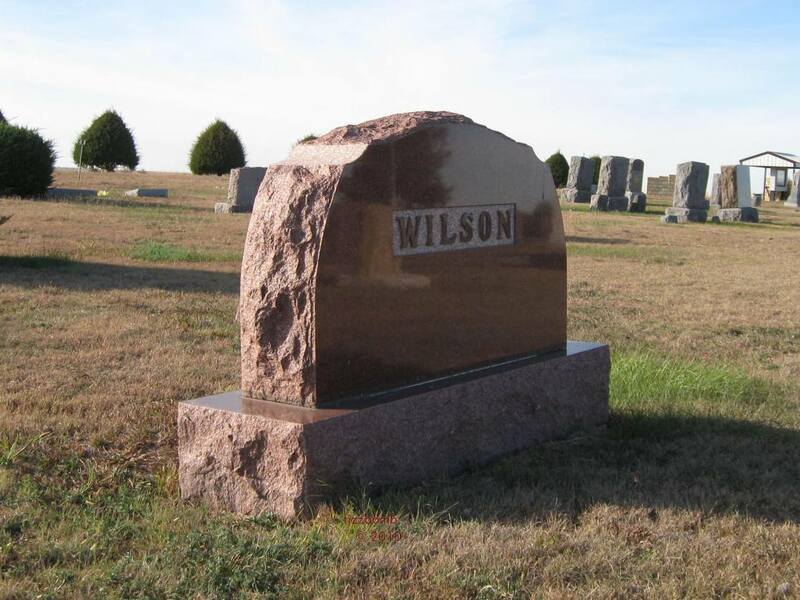 Wilson	 Mary L.	 1883	 1884	 Large WILSON stone with 6 names inscribed. Wilson	 Thelma E.	 1901	 1955	 Center WILSON stone; footstones with inscription. 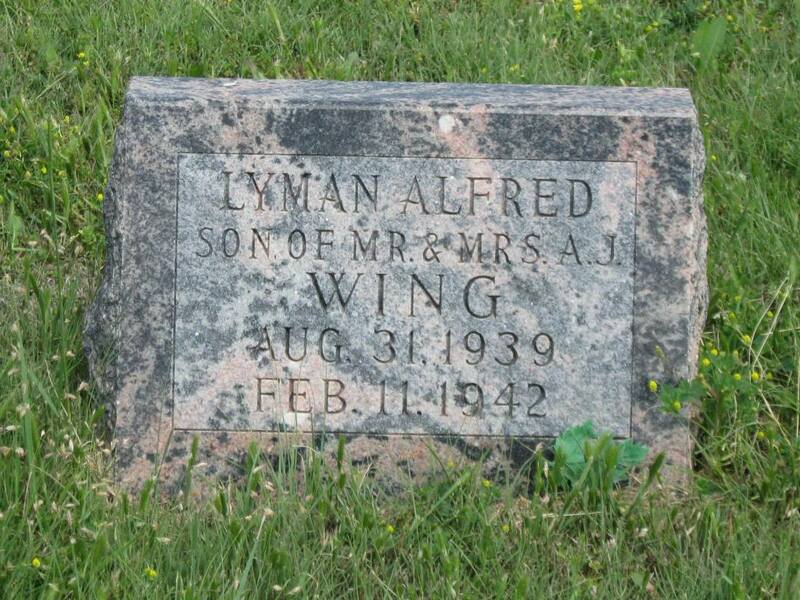 Wing	 Alfred J. 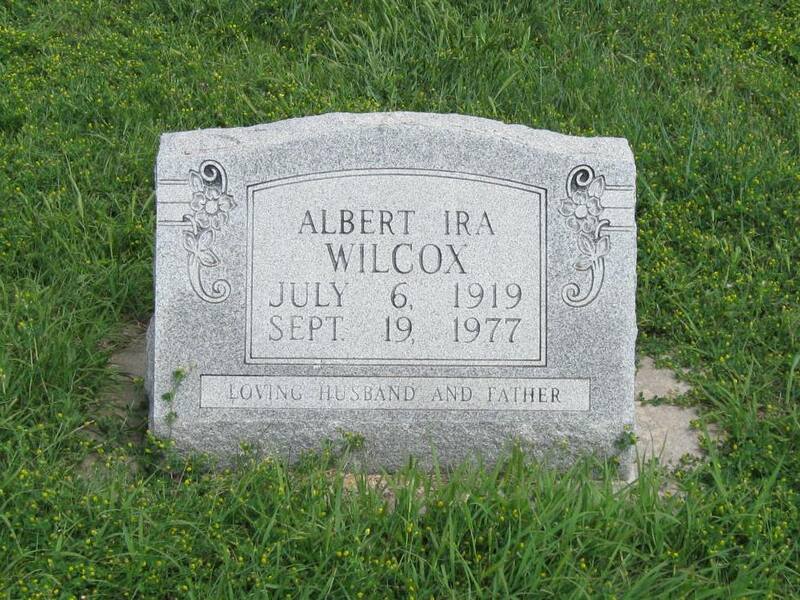 8/19/1895	 11/13/1985	 Married April 23, 1929; In God's Loving Care	 Same stone as Alice V. Wing. 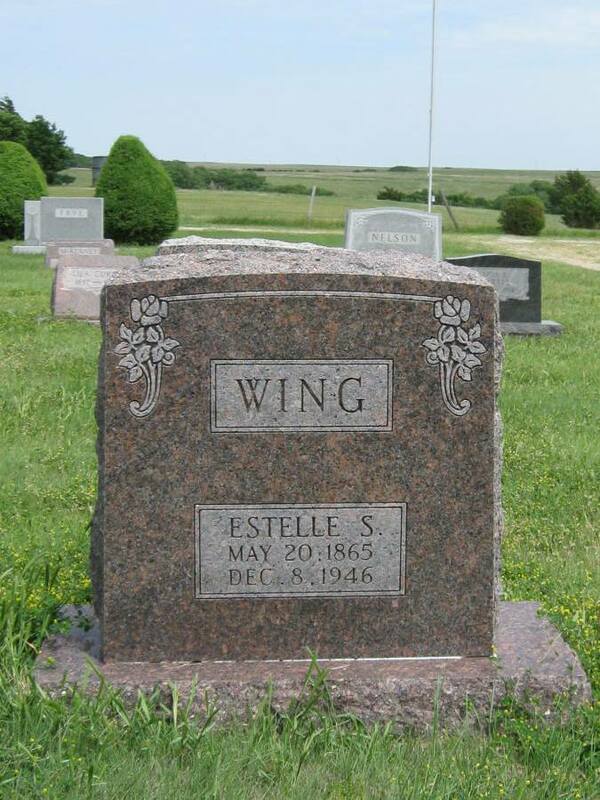 Wing	 Alice V.	 10/6/1901	 12/14/1981	 Married April 23, 1929; In God's Loving Care	 Same stone as Alfred J. 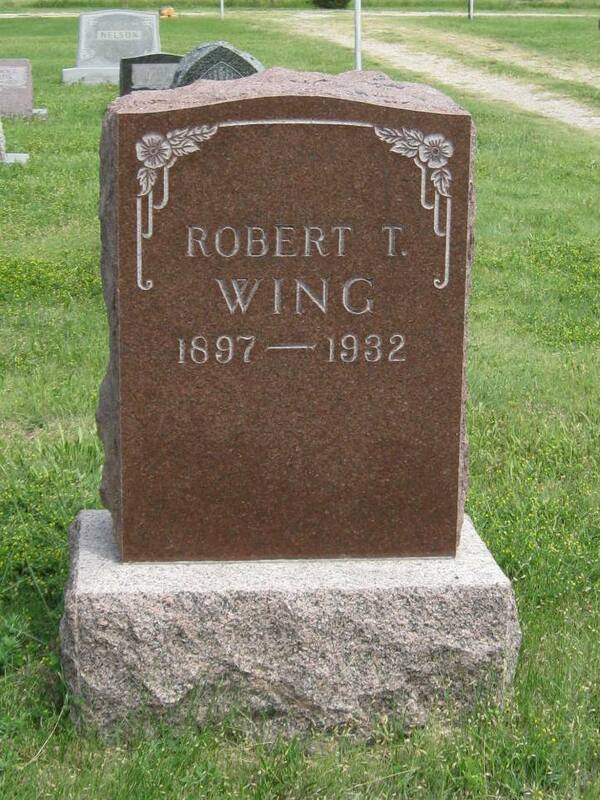 Wing. 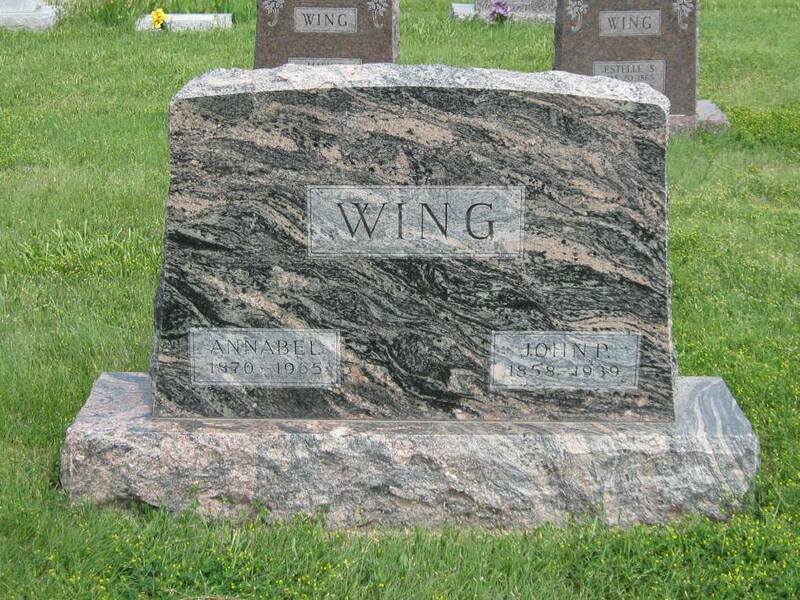 Wing	 Annabel	 1870	 1965	 Same stone as John P. Wing. 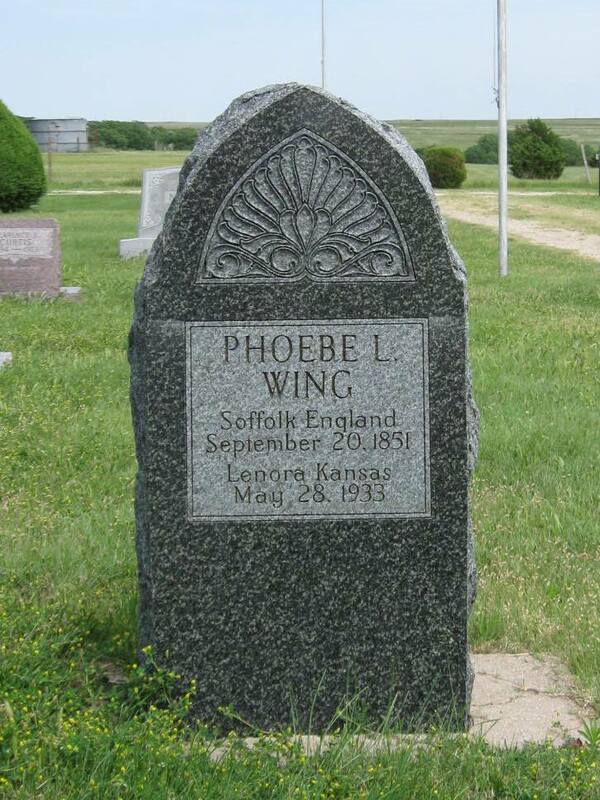 Wing	 John P.	 1858	 1939	 Same stone as Annabel Wing. Winters	 Nancy A. 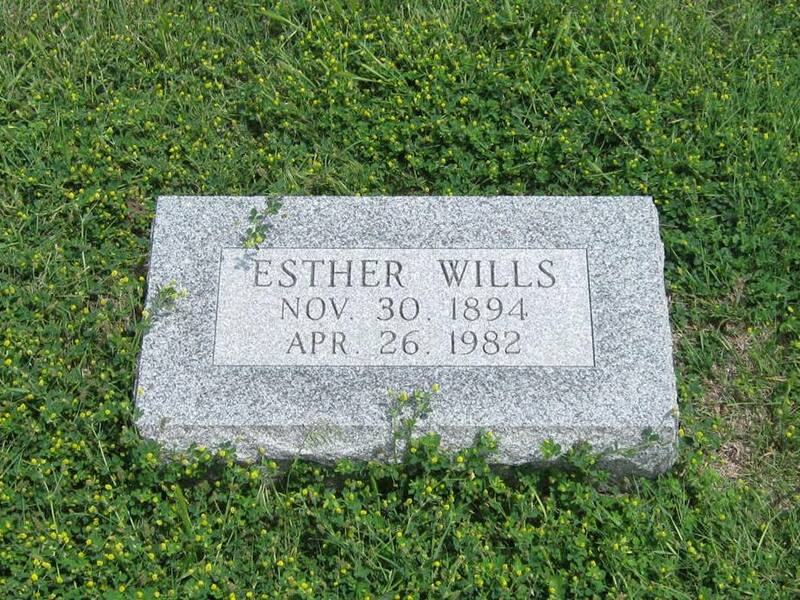 3/13/1843	 11/7/1908	 Wife of G.M. Winters; Aged 65y 7m 24d	 Maiden name was Boatright. C.M. 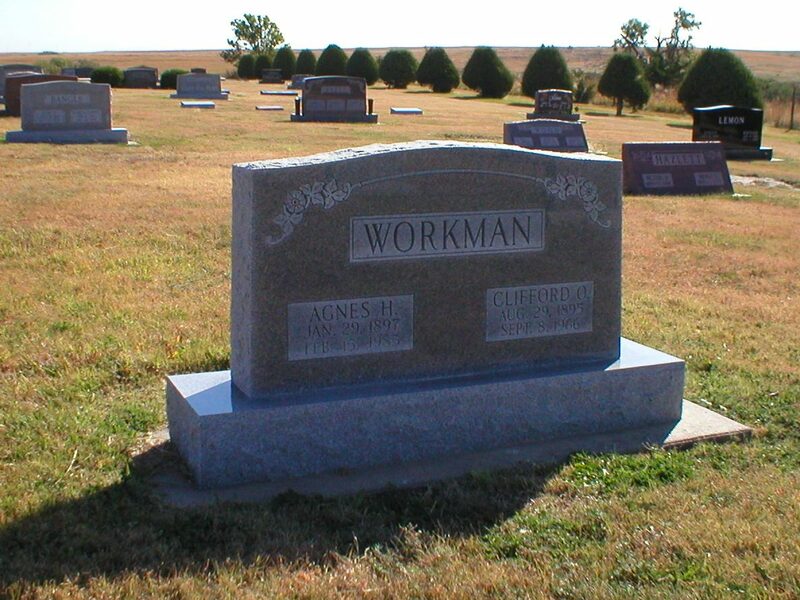 Saum's name was also listed as owner in the cemetery book. 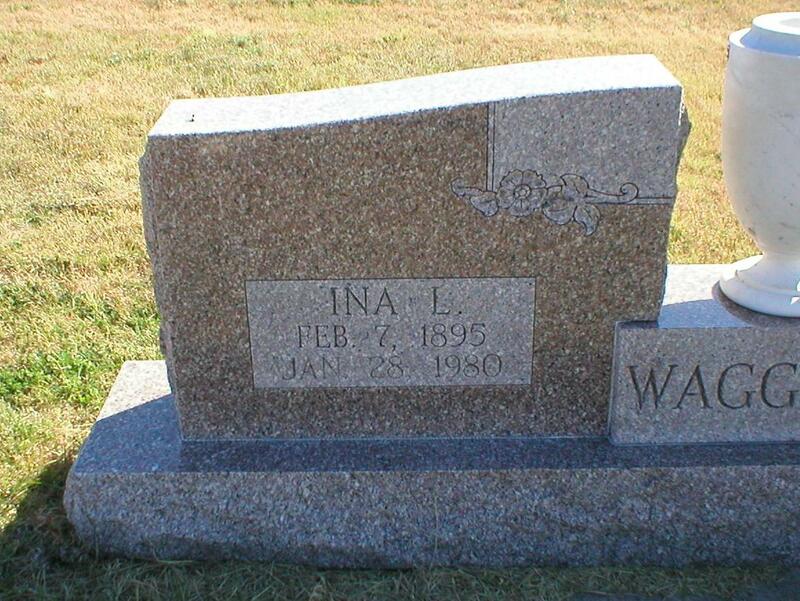 Wolfe	 Lona W.	 1877	 1958	 Same stone as Mayme K. Wolfe. Wolfe	 Mayme K.	 1872	 1942	 Same stone as Lona W. Wolfe. 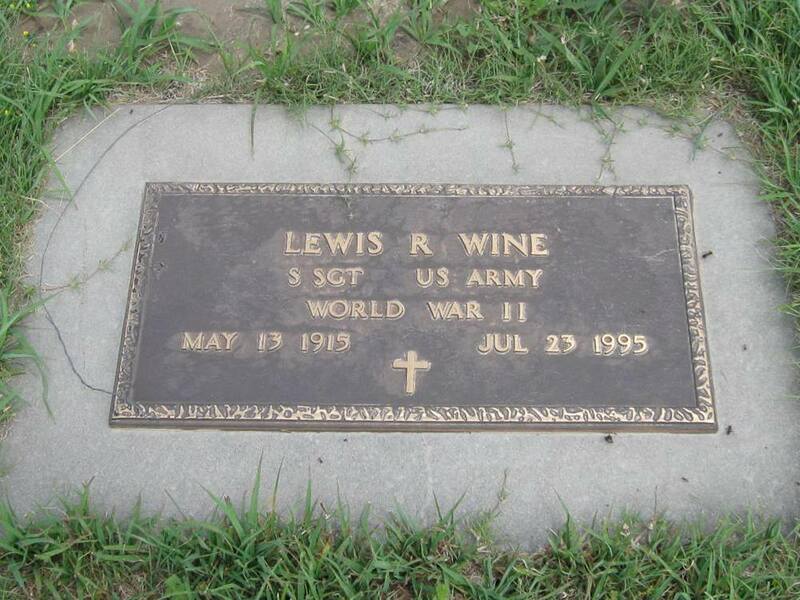 Wood	 Ivan H.	 1912	 1993	 Father	 Same stone as I. Max and Lota B. Wood. Wood	 Lota B. 1913	 2000	 Mother	 Same stone as I. Max and Ivan H. Wood. 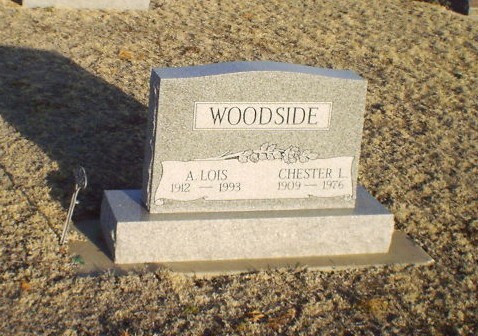 Woodside	 A. Lois	 1912	 1993	 Same stone as Chester L. "Chet" Woodside. Maiden name was Jones. 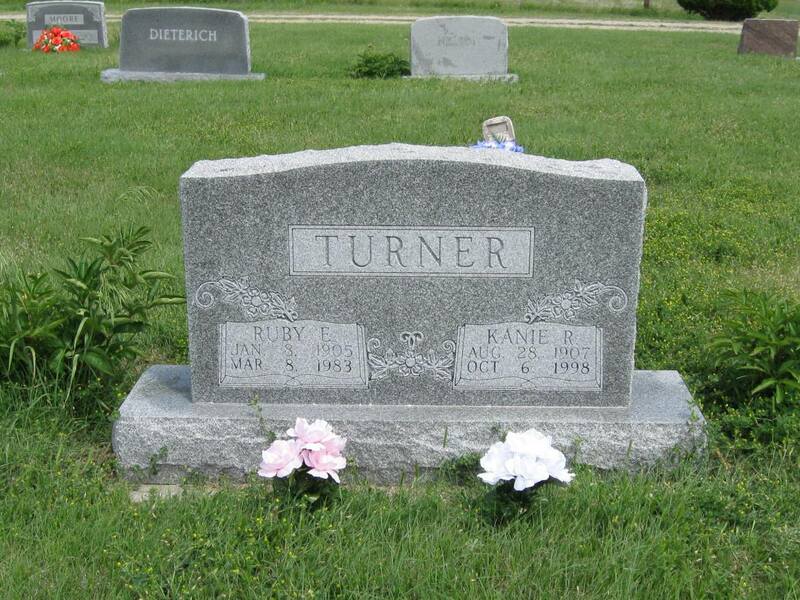 Second husband was Elkana Ralph "Kanie R." Turner who is buried elsewhere in this cemetery with his first wife, Ruby. 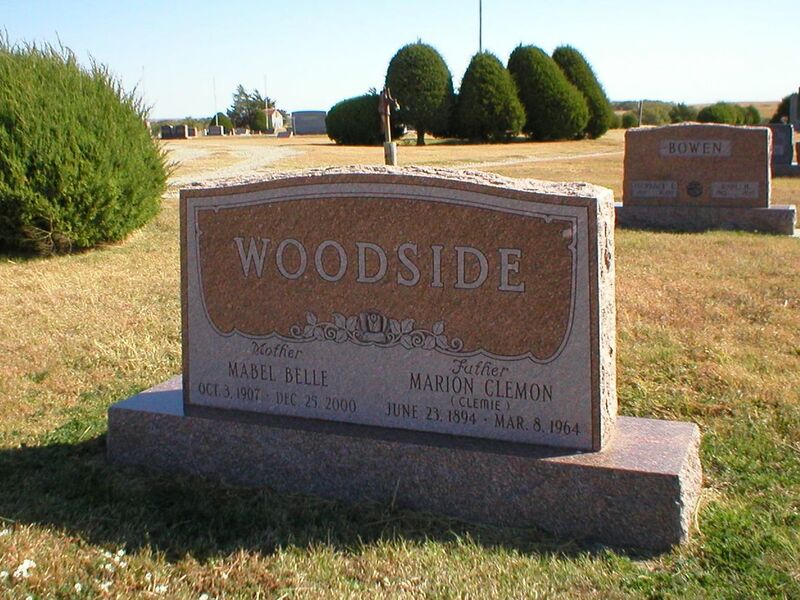 Woodside	 Mabel Belle	 10/3/1907	 12/25/2000	 Mother	 Maiden name was Reed. 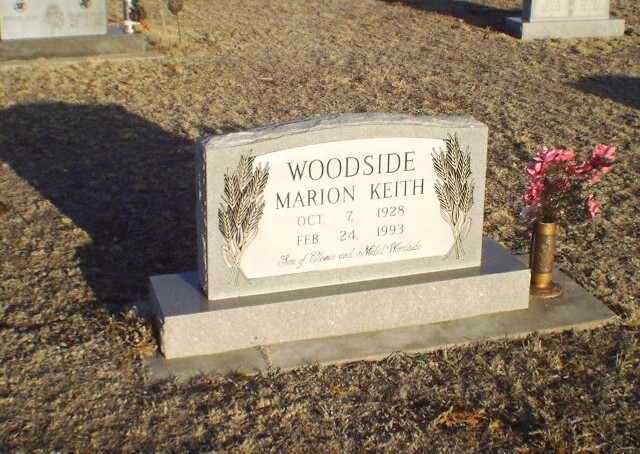 Same stone as Marion Clemon Woodside. Woodside	 Marion Columbus	 1857	 1931	 Father	 Large center WOODSIDE stone. 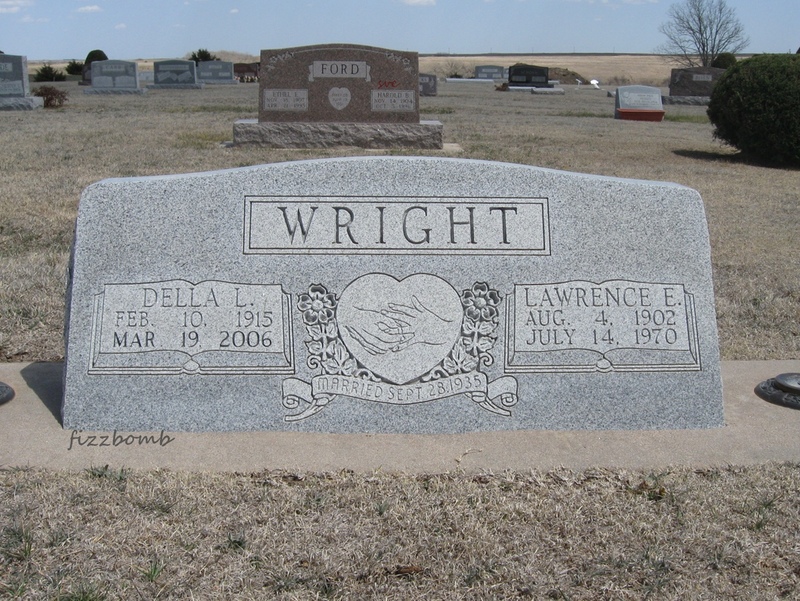 Wright	 Della L.	 2/10/1915	 3/19/2006	 Married 9-28-1935; Parents of Gwen	 Same stone as Lawence E. Wright. Yocum	 Guy	 7/10/1898	 4/18/1961	 Large center YOCUM stone with individual footstones. 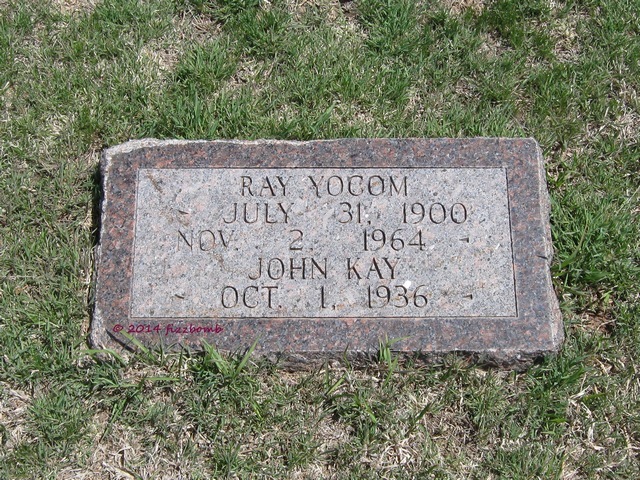 Yocum	 John Kay	 10/2/1936	 10/2/1936	 Same stone as Ray Yocum. Burial permit on file in city office. Yocum	 John W.	 8/12/1858	 8/24/1934	 FATHER	 Large center YOCUM stone; individual footstones. Oddfellow emblem. Yocum	 Nettie	 2/2/1909	 1/30/1988	 DAUGHTER	 Large center YOCUM stone; individual footstones. Oddfellow emblem. 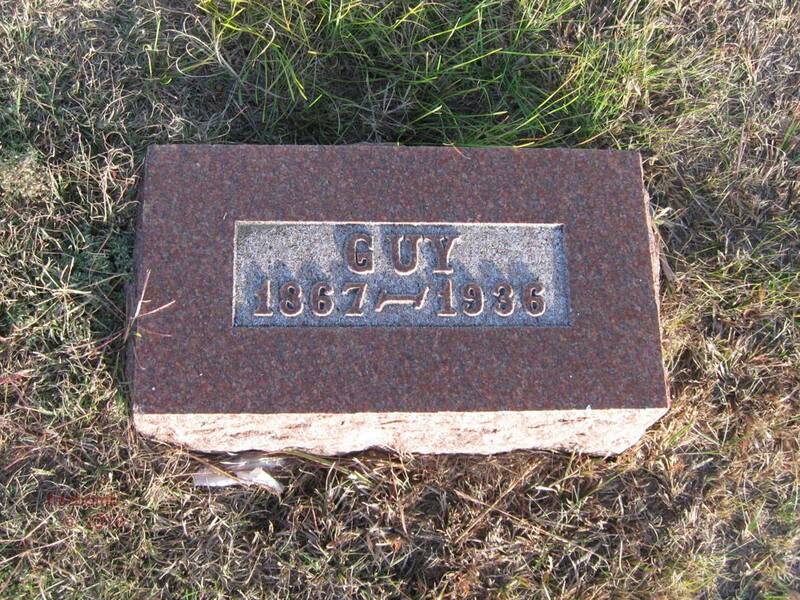 Yocum	 Ray	 7/31/1900	 11/2/1964	 Same stone as John Yocum. Zierlein	 Elmer H.	 4/24/1915	 9/16/2007	 Married Dec 22, 1941; Parents of Lloyd, Larry & Lynn	 Same stone as Maxine Zierlein. Zierlein	 Maxine L.	 12/22/1920	 12/11/1990	 Married Dec 22, 1941; Parents of Lloyd, Larry & Lynn	 Same stone as Elmer H. Zierlein. Rebekah marker.